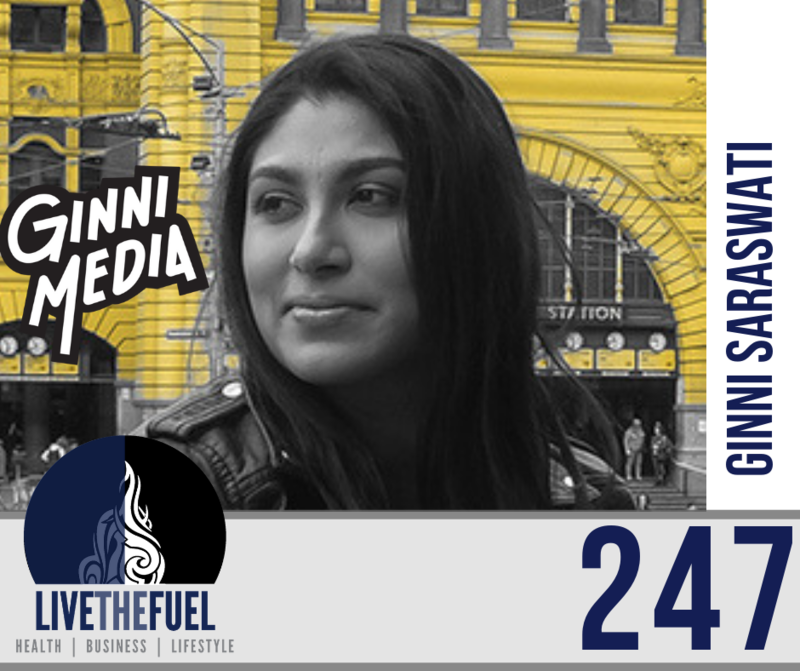 Ginni is an award-winning journalist known to stun many a person with her quick-witted introductions and on-air antics. She left Paula Abdul in a laughing fit and Havana Brown choking! She has interviewed them all, from k.d. lang, Jennifer Beals, Ruby Rose to Martina Navratilova… and the list goes on! She has recently launched her brand new podcast The Ginni Show—Curry, Comedy & Connectivity, which invites listeners to follow the hilarious journey life of a young Sri Lankan gay immigrant woman growing up in Australia with guest appearances from Ginni’s aunties, 170 cousins, and celebrities. 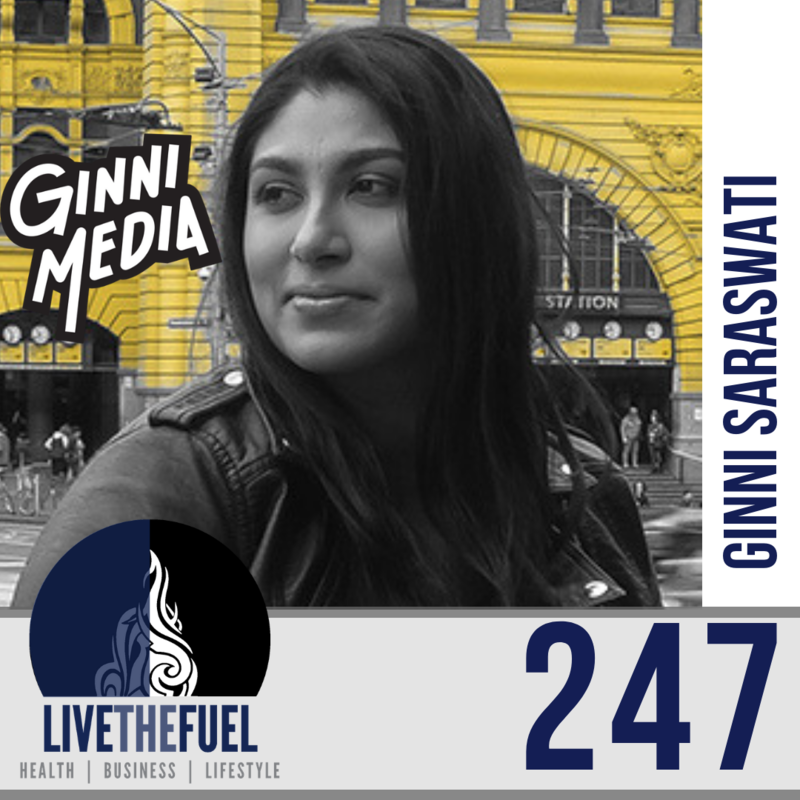 Ginni Media is a boutique Podcast Production Company serving the vision of entrepreneurs, celebrities and influential organizations around the world. Specializing in podcast production and content repurposing, they provide a concierge-style service to ensure your voice is literally being heard where it needs to be. I think 2019 for me, as we discussed, was a year that I’m really committing to being very productive with my time. I mean one key factor from that learning from The Mastery Journal is setting up my morning routine. I guess that’s really been lacking for me in the last year because I’ve kind of been I’ve jumped into this business. That was kind of my priority. From the moment I wake up to the moment I go to sleep, that was what I live, breathe, and slipped my business. I did notice over time, that your energy levels aren’t the highest. You are probably not getting that full round happiness that you want in the other aspects of life as well. So I think in 2019, if there’s any kind of wisdom that I could leave you with or any kind of tips, I would reverse engineer what makes you happy. It’s not just about work, it’s got to incorporate your loved ones, your friends, your health things that mean a lot to you. What does happiness look like for you and then work back from that because I think that’s what’s helped me with my morning routine and helps me be more productive with my time. I’d just be really pragmatic about that and be non-negotiable. These are things that I want to do in the morning for me, set your day up around you rather than being subject to other people’s wants and needs and demand. So I think that’s what I could leave you, it’s really about figuring out what makes you happy and then work back from that. [07:25] The Hump Day Crew and Rise Up Radio. I was also on LA Talk Radio for a brief stint. Then I started my own personal podcasting journey, I had three podcasts, The Monday, The Daily Ginni and The Ginni Show, but I’ve just put it put it all under one umbrella. Now being The Ginni Show and incorporating the other two podcasts I had, it just made sense to me to kind of make it a bit more of a documentary of my journey rather than fragments of it. [10:50] At the time I was studying theater and performing arts. So I didn’t have a fear of public speaking. I knew as soon as I got behind the mic, I would be on a whole different level of intimate and a whole different level of connection. Because when I opened the mic, I wasn’t playing a character or reading a script I was being made. [21:22] I’m curious to know Scott, you mentioned that you grew up in quite a conservative closed up type of environment. What do you think it was about you and your experiences that you kind of felt like, how did you develop such openness or being open-minded? [29:30] Even though it was a bit scary at the time, I had that fear, how will I be judged. The other side of it was that everyone knows that I don’t have to tell anyone, anything. I guess it also filters out who is supportive and who is not. [43:18] You hav got this gratitude, look at what it’s created for you, look at all the impact that you’ve been able to have on the kids’ life and future kids. The grace that you’re creating for yourself, and that you’re passing on to others. It’s totally amazing. And I think you’ve created quite a flow of abundance for yourself as a result, because you’re giving the key thing to giving and gratitude, gratitude, actually, the starting point, but the key thing that what you’re doing and being of service is you’re giving and being of service without an expectation or attachment. You’re doing it purely because you’re a good dude. And you want to help this guy out?